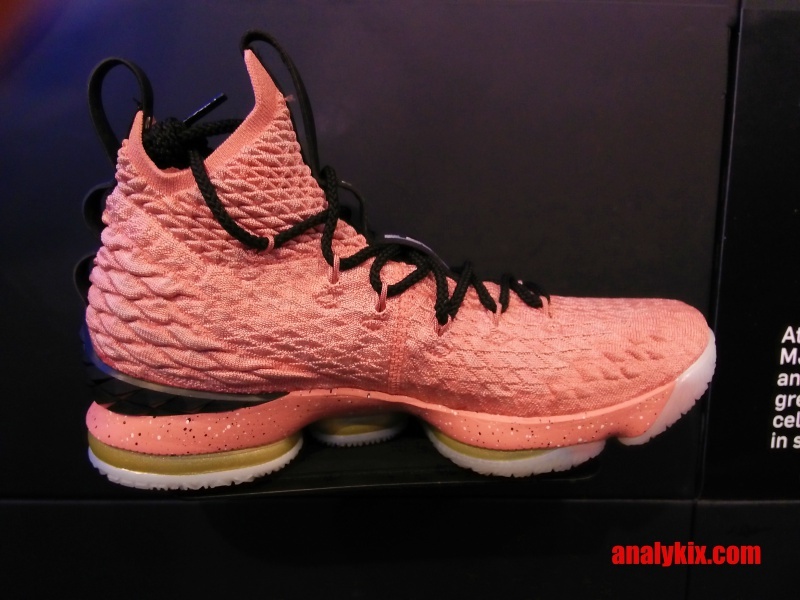 Continuing with the odd color themes, here is another Lebron 15 colorway which is already available now. 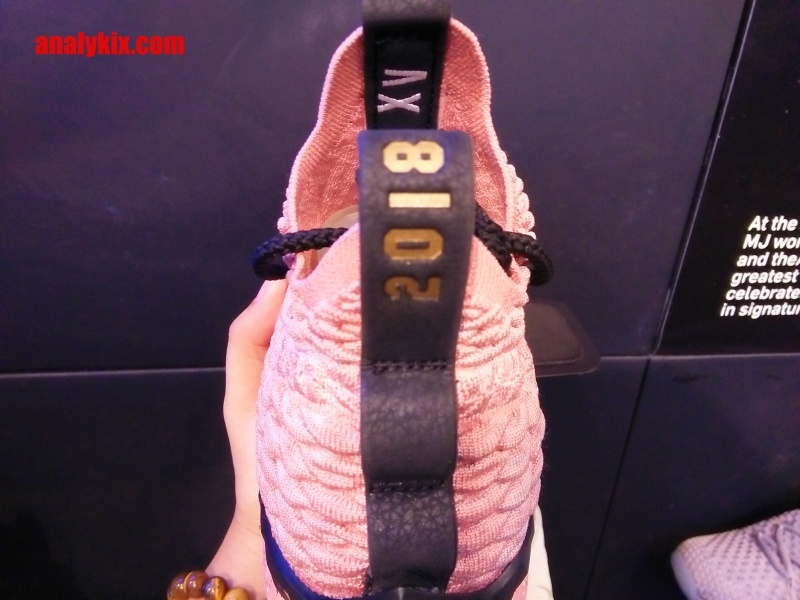 They dubbed this colorway "Holywood" and when I saw the images that float in the net some time ago, it wasn't that appealing. 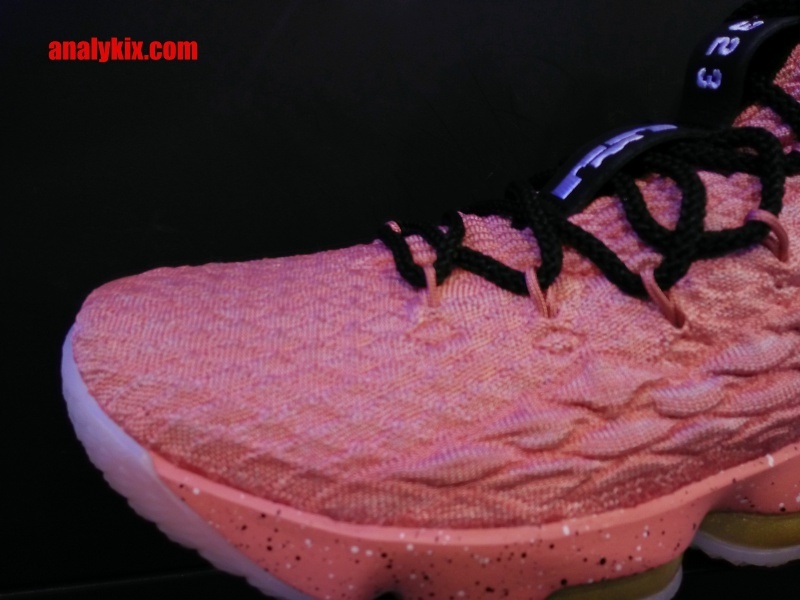 However, when I saw these in person, they do look good. 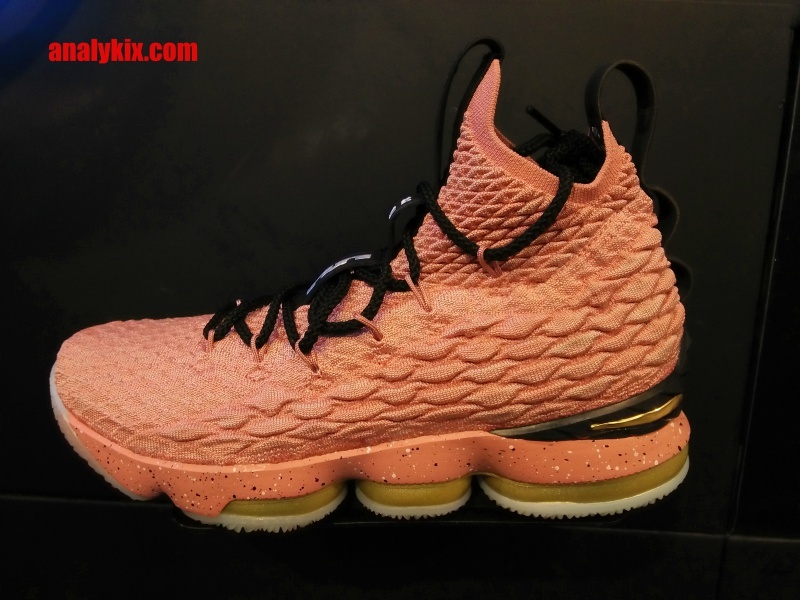 In fact, I already saw someone play in these. 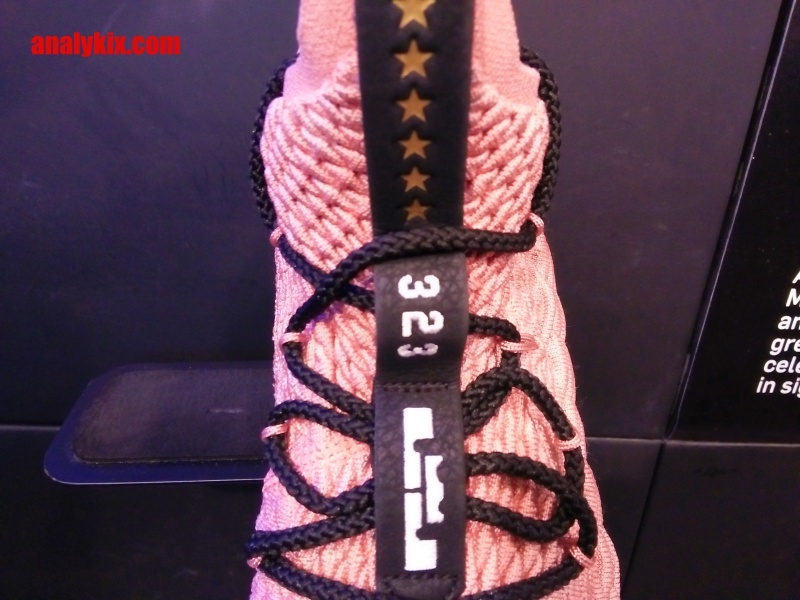 It has that pink, almost dark salmon like color which is a "curve ball" so to speak since you don't usually this kind of colorway in the Lebron line. 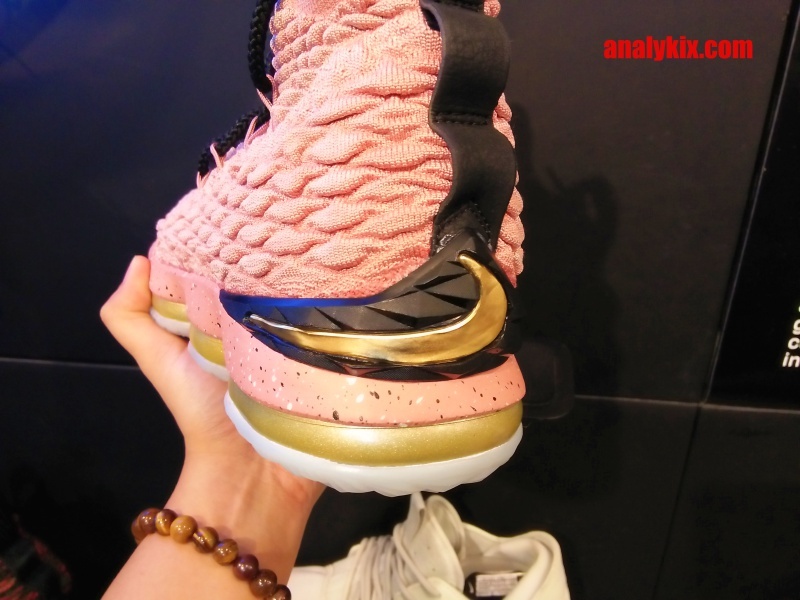 The gold and black accents makes the whole color scheme not too monotonous and in fact, the gold color in the midsole and swoosh branding is a nice touch that it makes my eyes more fixated on that gold hit than the rest of the upper. 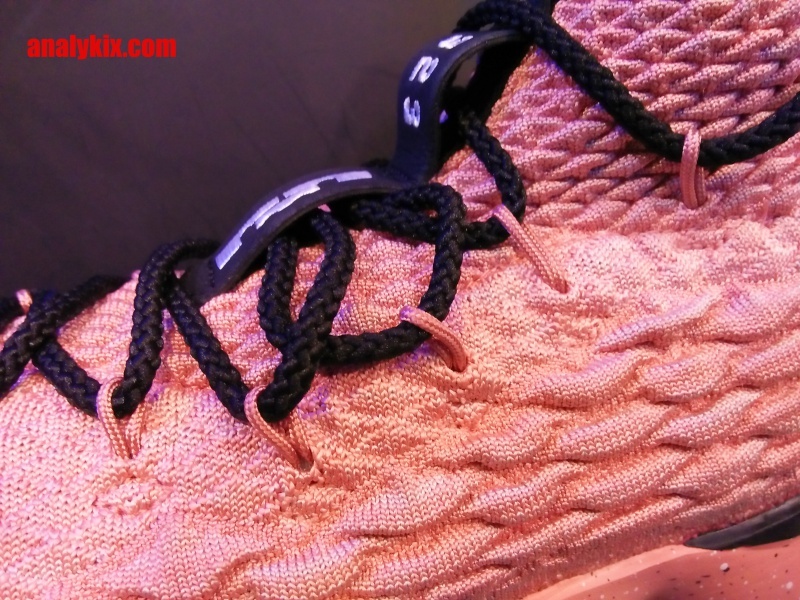 In my eye, it's like "Umm it has a pink/salmon colored upper, but look at that gold hit on the midsole." that's what I thought the first time I see them in person. 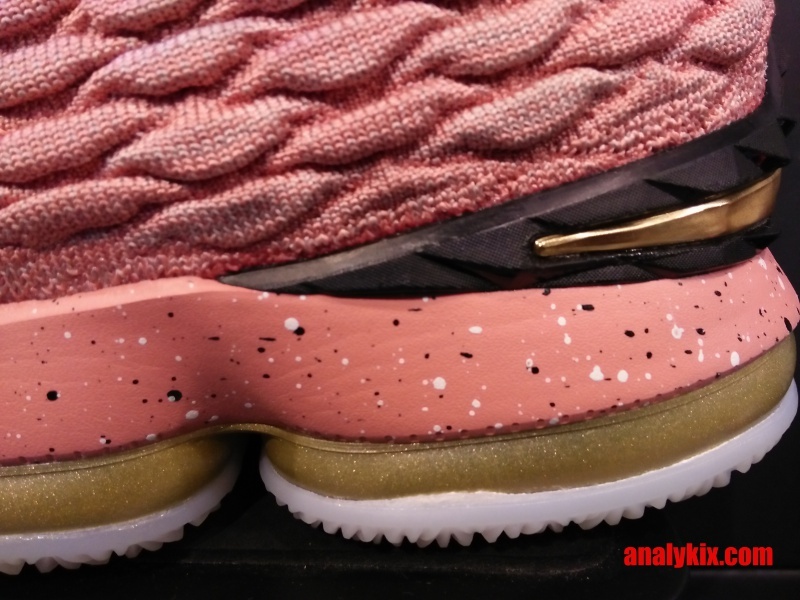 The midsole has some speckled hits to break the pink color transitioning to the gold color in the Max Zoom unit, which is not visible because of the gold accent covering the Zoom fibers. 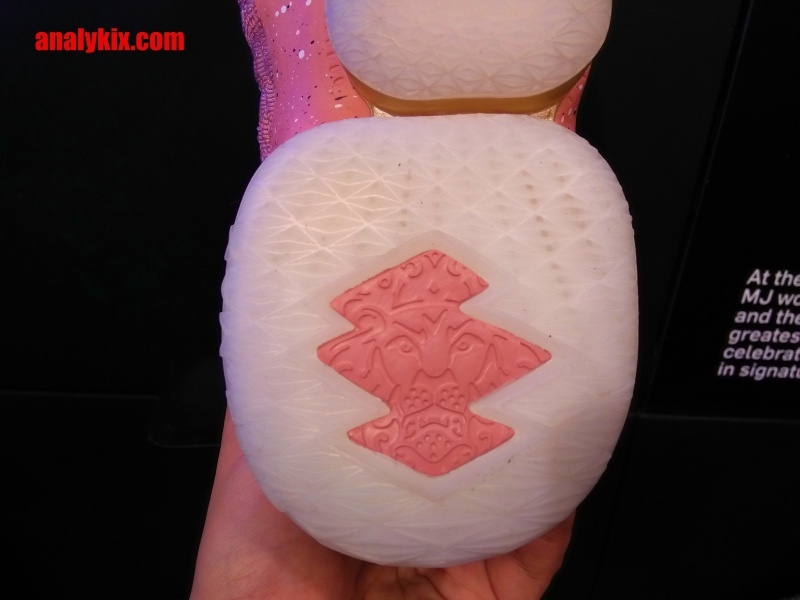 Underneath is a translucent outsole which I think is a good addition in this particular colorway (it's either a white translucent or white solid rubber, whichever looks good IMO). I've seen some pairs at Nike in Glorietta 4 which retails for Php 9,295.